'Let us give him a new life!' 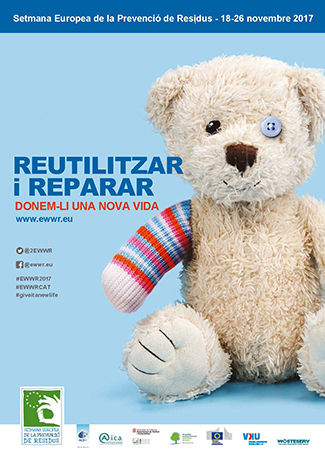 is the motto of the Day of the Prevention of Residues', axis of the European Week of the Prevention of Waste 2017, that is celebrated from 18 to 26 of November. Humana participates in it actively, organizing different awareness activities about sustainable resources and waste management. 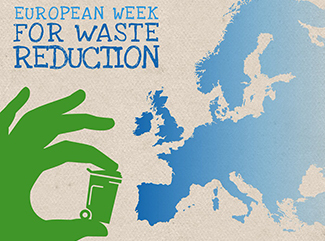 The European Waste Prevention Week (EWWR) aims to mobilize and encourage public authorities, private entities, civil society and citizens to take part in different actions around three themes of action: reduction, reuse and recycling . It also aims to evaluate the impact of actions and communication campaigns based on changes in people's behavior regarding how to consume and manage waste. 'Give your second life a second life'. The challenge is to overcome the number of used clothing and footwear recovered during the Prevention Week of 2016. During the nine days of last year's edition 377 tons were collected throughout Spain. Its re-use allows to stop emitting 1,197 tons of CO2 into the atmosphere. The awareness workshops 'Hay Ropa Tendida' will stop in five municipalities: Rubí and Montgat (Barcelona), Castrillón (Asturias), Sarrià de Ter (Girona) and Miramar (Valencia). Caprabo supermarkets will distribute about 9,000 brochures to customers about the importance of waste prevention and reuse. In addition, the exhibition "The second life of clothes and global sustainability" will be exhibited in one of the supermarkets Caprabo in the province of Barcelona. In Catalonia, the exhibition 'The second life of clothes and global sustainability' will be exhibited in Sant Llorenç Savall and Vallgorguina (Barcelona). Previously, on November 9, Humana organized in Oviedo the Conference 'Moving towards a circular economy. The sustainable management of waste'. As a specialist in preparation for reuse, Humana manages the donations of used clothing and footwear of citizens in order to obtain maximum use of the textile waste, giving it a second life and thus favoring a circular economy model. Around 9 out of 10 used garments are likely to have a second life through reuse or recycling. Moving from a model of linear to circular economy is essential for the sustainability of the fashion industry and, by extension, for the Planet. Applying an appropriate management in the last part of the life cycle of the textile it is possible to reintroduce it in that cycle, either as second hand garments or like other products.